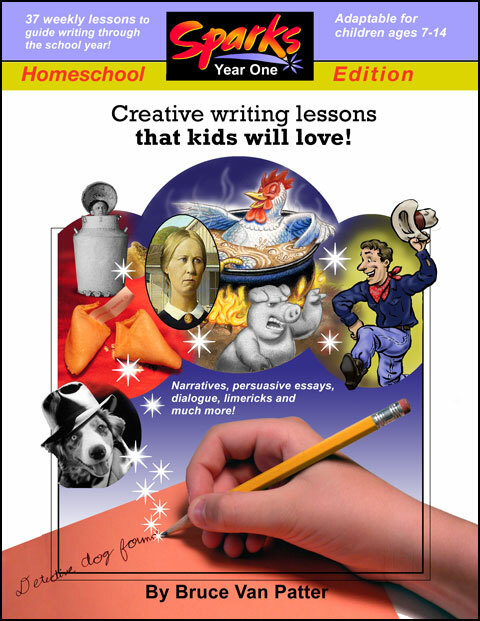 My popular creative writing lessons are now available for homeschool families! The lessons are adaptable for kids 7-14. Sparks will inspire your students to write! Each lesson comes with a visual to show students, or a link to a web-page specially designed to add fun to the lesson. I've brought my nine years of homeschooling experience into tailoring these lessons to the needs of stay-at-home students. If you're looking for something to motivate your kids to write, this is the book! Sparks Year One: Homeschool Edition children;creative;homeschool;writing 2030483 19.95 ideaguy Fresh Download Available!